Rabbi Brod answered as follows: I can only say one thing one this matter. 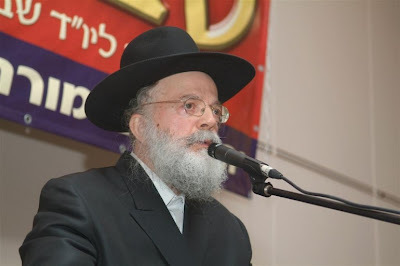 The Rebbe was very hurt by such expressions, and on several occasions the Rebbe told Chassidim in charge of presenting Chabad to the media, not to speak about this matter. 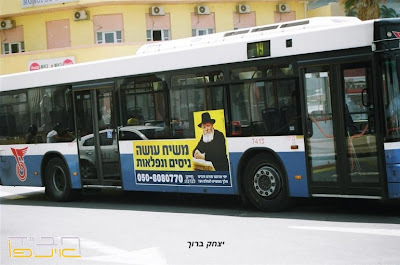 While It is pleasing to note that he remembers the directive of the Rebbe to Tzach not to comment on the matter, it is a shame that he does not remember the tens of positive answers from the Rebbe written to both individual Chassidim and Mosdos regarding publicizing the Rebbe as Moshiach, or the entire year that the Rebbe himself encouraged the singing of 'Yechi Adoneinu' with all of his strength. It is also a shame that Rabbi Brod doesn’t remember the edition of Sichat Hashavua (Yud Shvat Nun-Gimmel) where he himself explains how the Rebbe said about himself that he is Moshiach! They should of interviewed Rabbi Wolpo because he says the truth, send a link from here to the articles about the "black book"
The Rebbe said himself that he is Moshiach. Is this a news item or an editorial?? A while ago you put on the hebrew side of chabad.info 18 proofs that the Rebbe is Chai Vikayom, could you translate that to english & post it here. I totaly agree with comments #1 & #6 this site should listen to those comments. If Rabbi Wolpo would be interviewed it would be the biggest Kiddush Hashem & Kiddush Lubavitch ever. To number 8 it is never to late Channel 2 can interview Rabbi Wolpo now & he can fix the damage that was done. Your letter reached me with some delay. In it you express your desire to learn more about the Lubavitch movement, etc. You also ask for clarification of certain questions. Needless to say, it is difficult in the medium of a letter to expound adequately upon the various questions and matters that you touch upon in your letter. Actually, there is no need to have recourse to such correspondence, inasmuch as your Lubavitcher friends in London, whom you also mention in your letter and with whom you have personal contact, will be glad to go into some of these questions with you at length. At any rate, in order not to turn you down completely, I will attempt to answer the first question that you put in your letter, where you refer to a statement of mine which you saw quoted in the press, to the effect that the happenings in our time in general, and in Eretz Yisrael in particular, are not the Beginning of the Redemption (Atchalta d' Geulah), while, on the other hand, I state that life in Eretz Yisrael must be conducted in accordance with the Torah, and you wonder whether there is an inconsistency there. I wish to assure you that there is no inconsistency in the two statements, inasmuch as they are both based on Torah. We see clearly that even after he induces all of the Jewish people to walk in the path of Torah, etc., it may only be assumed that he is Mashiach, but it is not yet certain, and it could in fact turn out that he is not. In other words, there is still a possibility that even this development will not necessarily spell the end of the Galut. As a matter of fact, the Rambam mentions in the previous halacha the fact that there was a time in Jewish history when it appeared that Mashiach had arrived, in the person of Shimon ben Kuziba, yet it later became quite clear that he was not. Only when - as the Rambam says - he will build the Sanctuary in its place and will gather the dispersed of Israel, only then will it be certain that he is Mashiach beyond all doubt. On the basis of your letter, I think it is surely unnecessary to explain to you that the Jewish belief is that the end of the Galut will come when Mashiach himself brings about the ingathering of the exiles, as is clearly evident from the Rambam quoted above. With regard to the second part of the statement, about the need to abide by the Torah, etc., I trust it is, again, unnecessary to emphasize to you at length that the Torah was given for all times, both in times of Galut and in times when the Bet Hamikdash was in existence. However, there are certain things which the Torah requires adherence only when the Jewish people are in a position to do so. By way of example: In your city of London, the Jews have no power to compel the closing of certain stores on Shabbat and Yom Tov, or enforce certain other laws. On the other hand, there were times in the past when a Jewish congregation or community had complete jurisdiction over its members, able to impose its will on the life and conduct of the congregation or community and bring it into strict accord with the Torah. It follows, moreover, that the greater the authority and power the Jews have to direct and order their own life, the greater the duty to see to it that it be in accordance with the directives of the Torah. From The Letter & The Spirit, pages 272-275. ...and he always received unbelievable answers. 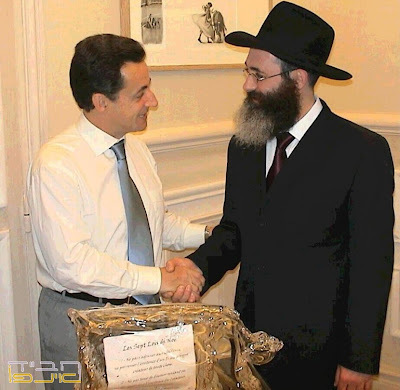 Recently, after Sarkozy was elected as president of France, he has not forgotten his close friend and confidant, who he shares an ongoing relationship with. 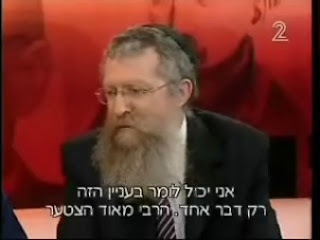 Following the release of the preview of the 'Black Book' and the media attacks against 'the committee to save the nation and the land', as well as attacks from within, Rabbi Sholom Yaakov Chazan interviewed Rabbi Sholom Dovber Wolpo, who said: "The Rebbe appointed me to be involved in Shleimus Ha'aretz. 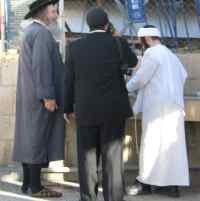 I will continue working as per the Rebbe's instructions". 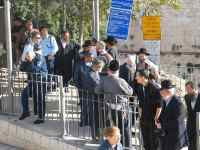 When did the Rebbe appoint him as his shliach for inyanei shleimus ha’Aretz? Does he act in the name of Chabad? Is the Rebbe in favor of soldiers refusing to obey orders? Which Lubavitchers have been attacking him and why? Iranian President Mahmoud Ahmadinejad, who has been gearing up for an Israeli offensive in recent months, is bound to be surprised by the peace feelers he is set to receive from Jerusalem soon. Without Saudi mediation or diplomatic procedures, the president will get a “Letter of Love and Peace”, accompanied by a historic invitation to visit Jerusalem, from The Supreme Judicial Court of the Jewish People, better known as the Sanhedrin. 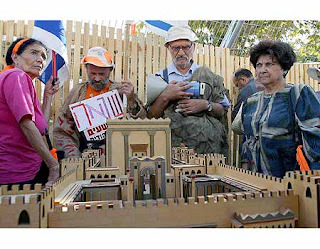 After having tried their luck with the High Court of Justice and the government, the members of the Jewish group have set out on a new track in their struggle for the Temple Mount, aimed at rebuilding the Temple in the Jewish capital. In recent days, the group members have drafted a letter that will be translated into 70 languages and sent to all government institutions in the world, including “the sons of Esau and Ishmael” who do not hold diplomatic ties with Israel. In the letter, the rabbis of the self-proclaimed Sanhedrin warn that the world is nearing a catastrophe, and write that the only way to bring peace among nations, states, and religions is by building a house for God, where Jews will worship, pray and offer up sacrifice, according to the vision of the prophets. The rabbis also call on the non-Jews to help the people of Israel fulfill their destiny and build the Temple, in order to prevent bloodshed across the globe. The letter will initially be translated into English, Spanish, Arabic, French and Farsi, and later also into Russian, Chinese and Japanese, and will include an invitation to world leaders to attend a conference dedicated to the Temple Mount in Jerusalem five months from now, during Succot.